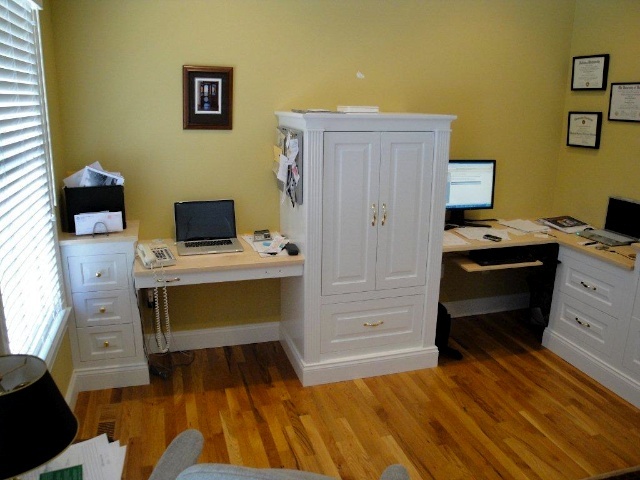 This is a first floor home office with desk, bench seat, coat rack and book case. Re claimed pine for desk top. Book case knee walls with turned columns resting on top. 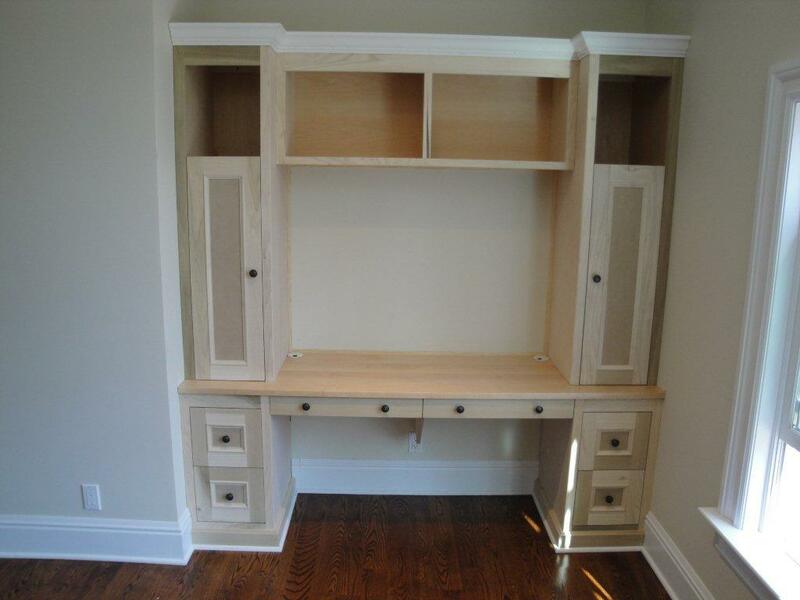 Desk built for clients children, brother and sister. 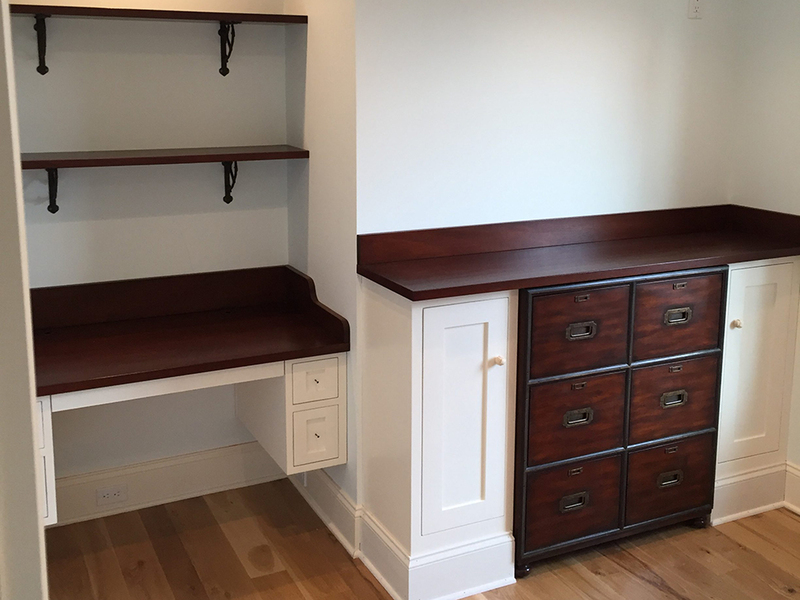 Work stations for two teenagers including file drawers, storage, and inlayed black laminate blotters. All built from cherry and finished with clear satin lacquer. 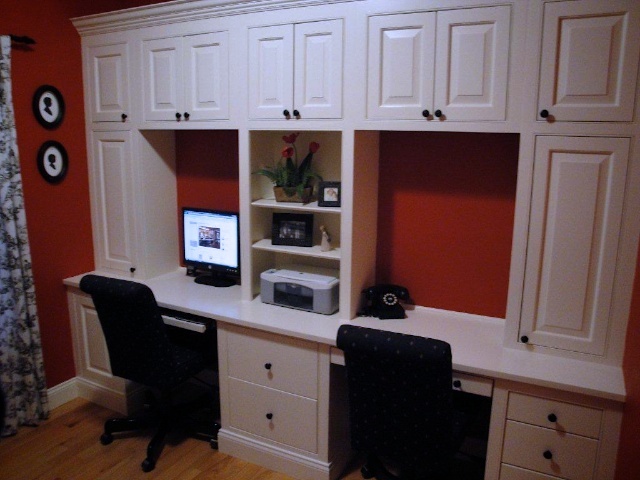 Dual workstations and matching bookcase finished in brushed white paint. 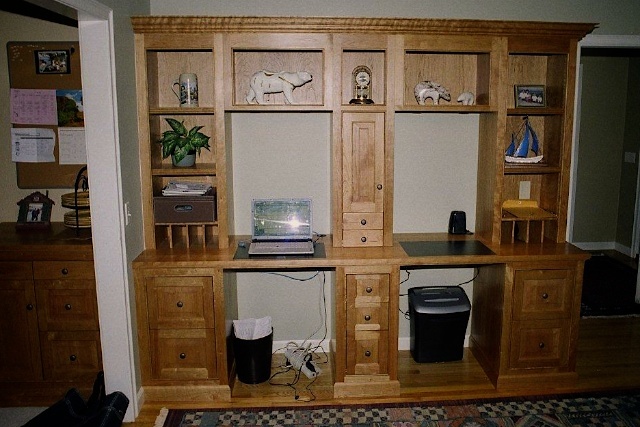 Two work-stations with keyboard pull-outs and file drawers along with a tall cabinet to house a printer, a scanner and routers. All finished with brushed white paint. 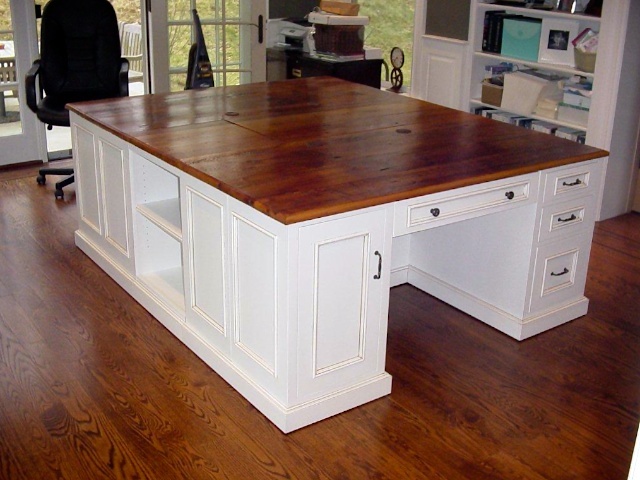 This double-sided desk was built from maple and finished with a glaze over lacquer paint. 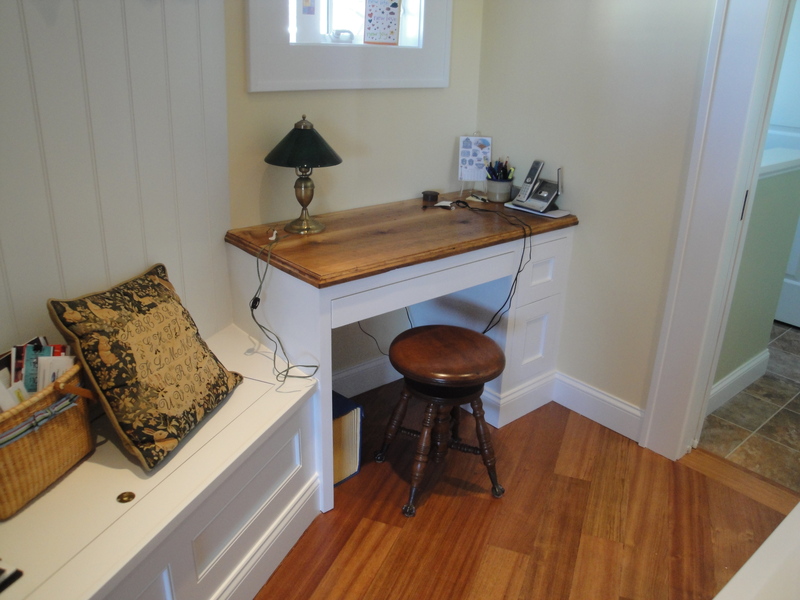 The desktop is made of reclaimed pine top from a grain barn in New England and hand rubbed with oil.